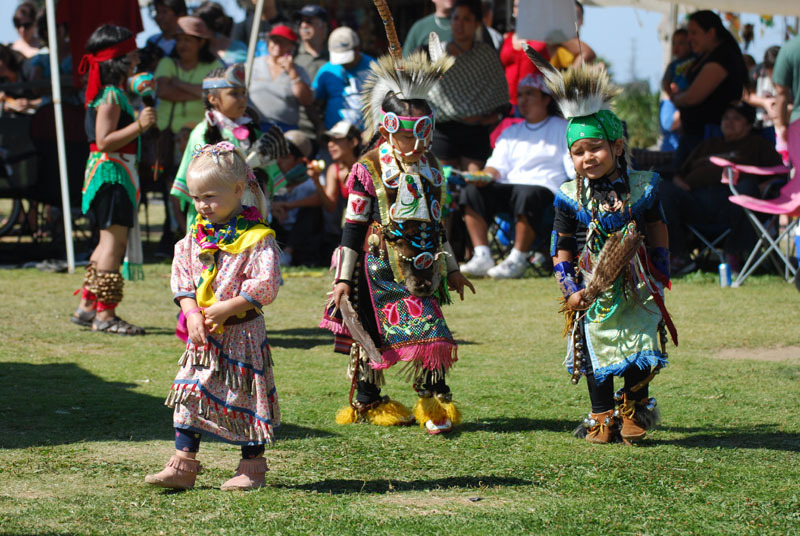 From the wildly sucessful Chula Vista Soaring Eagle pow wow on 8/10-11/13 to the Dance workshop in the park on the 14th the families and contact director Vickie Gambala have been very busy all over San Diego County. 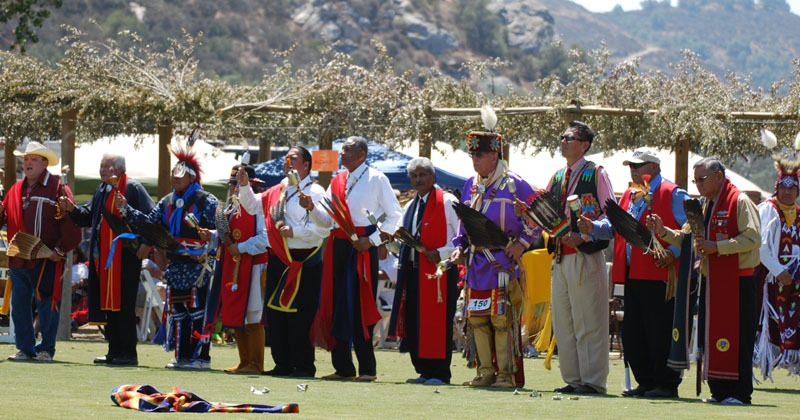 Friday the 23 of August the Soaring Eagles were invited to the Pala pow wow, 8/23-25/13, to assist in the grand entry and the serving of the dinner meal for the dancers and singers. The American Indian Warriors Association also lent their support and participated in many sessions of Gourd dance in the toasty part of the day. 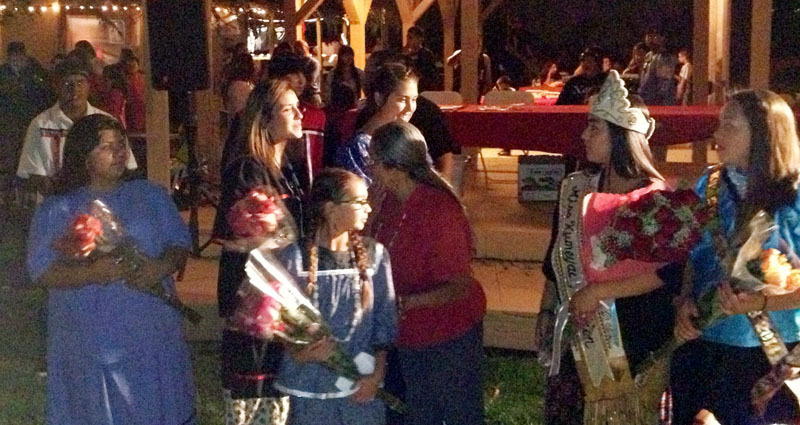 Some of the Soaring Eagle families split their time and attended the Viejas culture days and crowning of the Miss Kumeyaay for the next year, Destinee Morales from San Pasqual. There was lots attractions and fun for the kids, also there were some serious horseshoe face offs, great sessions of Bird songs by many groups and a fine display of traditional regalia in the dance participants competing. In the evening, after the dinner and free T shirts, the fires were started for the Peon games and teams competing. And the summer fun keeps rolling on. 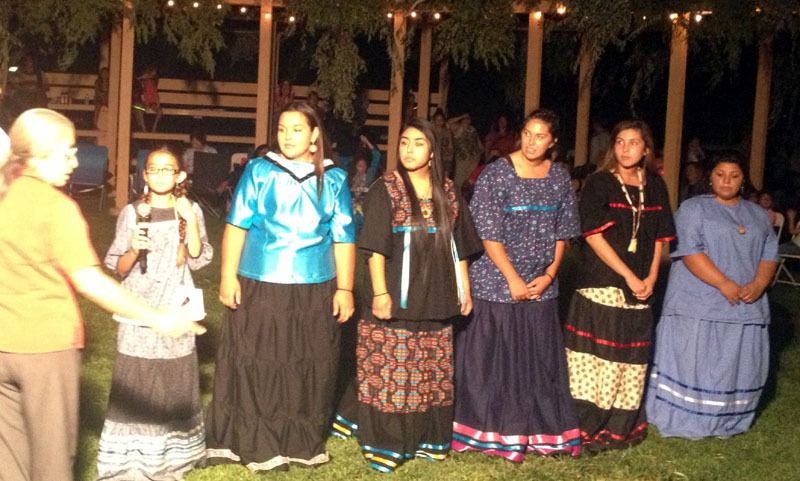 This next Wednesday is the last meeting in the park for the Soaring Eagle dance workshop. This gathering is in cooperation with the youth program community night. Good times and good eats with good friends all this month!